I’ve never had such a succulent piece of crustacean in my life! 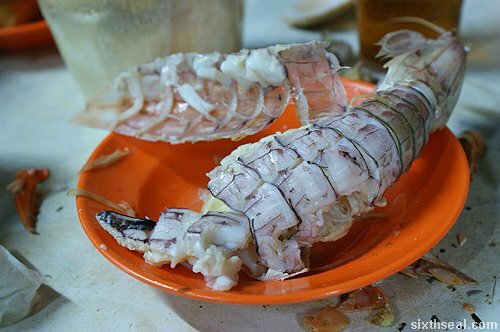 The odd looking mantis shrimp (also called mantis prawn) tastes more like lobster than prawns. I had this at Tambun, Penang last night. Mantis prawns are huge creatures that can grow much longer than a chopstick (shown here next to my hand for perspective). I can’t believe this is the first time I’ve ever had mantis prawn…its awesome stuff! 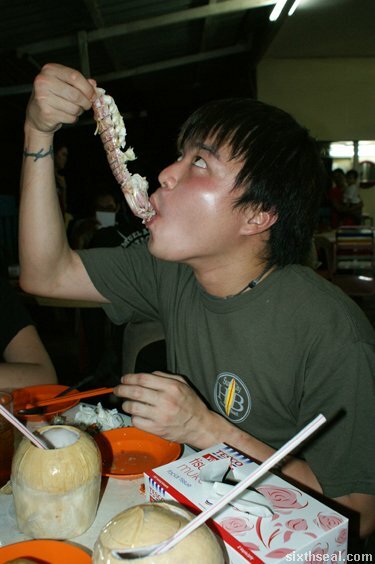 The carapace peels back to reveal a bed of soft, tender flesh that almost melts in your mouth. 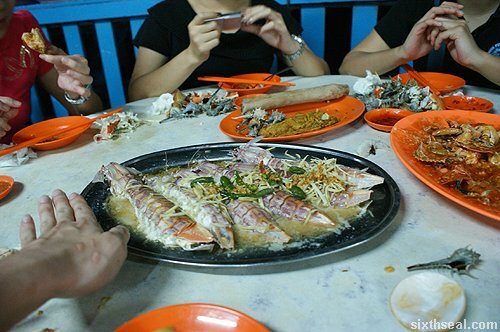 The sweetness of the mantis prawn flesh is unbelievable! It’s so good that I just had to write this hyperbole laden post.